Providing you the best range of slat conveyor, pressing conveyor and inkjet printer conveyor with effective & timely delivery. With the excellent support of our brilliant professionals, we are engaged in presenting Pressing Conveyor. 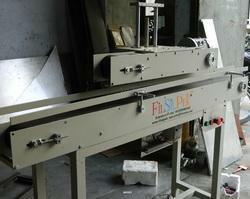 This efficient conveyor is manufactured using quality materials and advanced technology. Our professionals manufacture all kinds of conveyor according to the trending demands and clients’ needs. In addition, the offered conveyor is built and developed adhering to industry standards. Furthermore, quality control team opts for strict quality inspection to assure flawless performance of the conveyor during operation. Besides, clients can get the conveyor from us at industry leading cost. We are offering superior quality Inkjet Printer Conveyor that is available in a wide variety of lengths, widths, and construction materials and types. Both straight and curved configurations (L, S, and U-shapes) are available too; this conveyor is used for carrying material from one place to another. 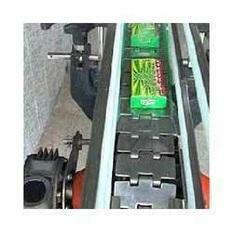 The offered conveyor is precisely engineered using excellent quality components and cutting-edge technology. We provide this conveyor in various specifications at industry leading price.